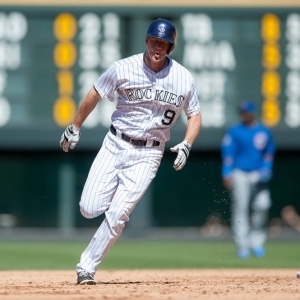 The Arizona Diamondbacks visit Coors Field on Tuesday to play the Colorado Rockies. The probable starters are Patrick Corbin for the Diamondbacks and Yohan Flande for the Rockies. The opening line for this matchup has Arizona at -130 and Colorado at +120. The over/under was set at 10.5. The Diamondbacks, with a 68-62 run line record, cover the spread 52% of the time. They also have a 67-55 over/under record. The Rockies are 64-64 against the run line and have a 67-57 over/under record. They cover the spread 50% of the time. The Diamondbacks head into this matchup with a 63-67 record, including 32-32 on the road. Patrick Corbin has a 3-3 record on the season, an earned run average of 3.78 and a 1.26 WHIP. He's pitched 50 innings thus far while surrendering 50 hits over that time and when he starts, the Diamondbacks are 5-5. Against the over/under, the Diamondbacks are 5-5 in his starts. His teammates are averaging 4.1 runs a game when he pitches. The bullpen's earned run average is currently 3.39 and they've given up 418 hits on the season. The bullpen has struck out 386 and walked 161 batters this season while opposing teams hit .241 against them. Arizona has a team average of 8.89 hits allowed per game and are averaging 7.19 strikeouts per nine innings. With a team earned run average of 4.03, they are 20th in the league. Arizona ranks 6th in the league in team batting average at .265 while hitting .260 on the road. Ranked at 8th in the league in on-base percentage, the Diamondbacks sit at .324 and they hold a .406 team slugging percentage. With 156 hits, A.J. Pollock leads the team while his team ranks 2nd in hits per game with 9.3. With a 27-36 home record, Colorado will hope to improve on their 52-76 overall mark. Yohan Flande has a record of 3-1 while sporting an earned run average of 4.09 on the year with a 1.30 WHIP. He's pitched 50.2 innings thus far while surrendering 49 hits over that time in which the Rockies are 4-2. Against the over/under, the Rockies are 4-2 when he starts. His teammates score an average of 4.8 runs a game when he pitches. The bullpen's earned run average is currently at 4.88 and they have given up 464 hits on the season. The Rockies bullpen has struck out 370 batters and walked 191 this season while opposing teams have hit .268 against them. Colorado has a team average of 9.95 hits per game and are averaging 6.94 strikeouts per nine innings. With a team earned run average of 5.11, they are 30th in the league. They rank 4th in the league in team batting average with a .266 average while hitting .299 at home. Ranked at 15th in the league in on-base percentage, the Rockies sit at .317 and they hold a .435 team slugging percentage. With 142 hits, Charlie Blackmon leads the team while his team ranks 6th in hits per game with 9.11. The Diamondbacks have committed 62 errors and have combined for 1,405 assists and 3,555 put outs leading to a .988 team fielding percentage. Over the course of this season, the Rockies have accumulated 75 errors while having 1,435 assists and 3,359 put outs leading to a .985 fielding percentage.